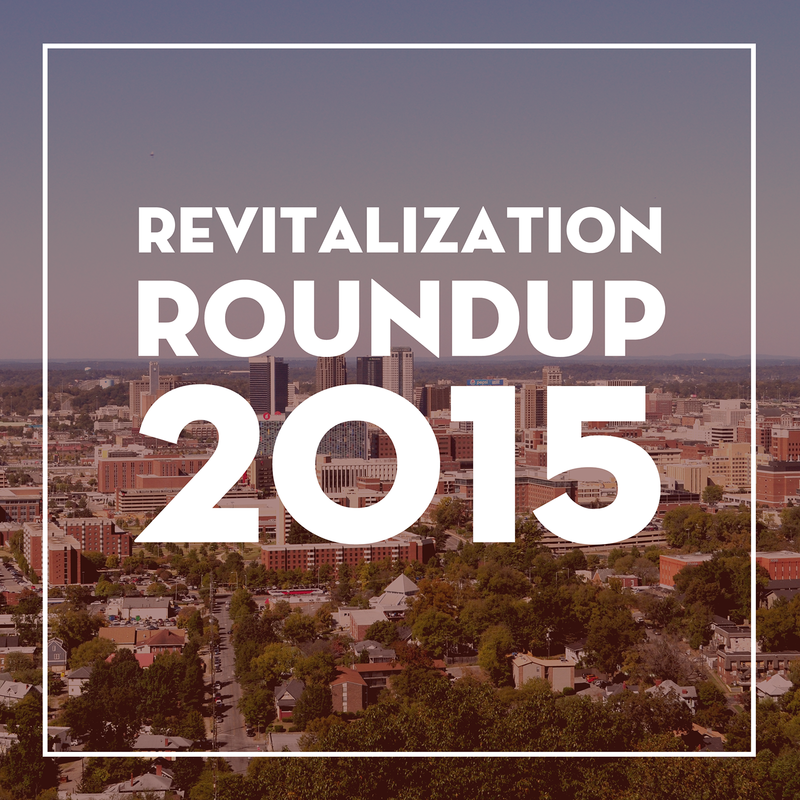 2015 was a huge year for Birmingham! We grew, we changed, and we’re finally becoming the city we’ve always had the potential to be. This revitalization has cultivated a strong sense of pride around town, and what started as small grassroots movement has led to the development of a new Birmingham. With the year coming to a close, Brik Realty wants to honor all of these milestones and highlight some achievements you may have forgotten about. 2015 started out with the announcement that Birmingham is hosting the 2021 World Games, easily the most pivotal moment of the year. This is huge for us, but the immediate effects are already apparent. An event this big requires proper facilities and amenities, and it’s safe to say that this motivated several other changes and developments this year. As we’ve grown, there has been a lot of pressure on the city to improve on public transportation. We now have 2 brand new options for getting around town, starting with the Zyp BikeShare program, and most recently the launch of Uber. It doesn’t stop there, though! In October, Birmingham received a $20 million grant for a new Bus Rapid Transit system, and construction is underway for the new bus and train station. Bike trails are still developing, and Rotary Trail, a new green space downtown, is on its way. With Birmingham becoming more accessible, new and renovated facilities are showing up everywhere. The Parkside development in Midtown is under construction, bringing with it residential space as well as new businesses, including a Publix. The Empire Building and Leer Tower are both being renovated, and the iconic Lyric Theater has been brought back to life. The Redmont Hotel is also getting a facelift! Uptown became our first open container entertainment district, bringing in plenty of business to the relatively new area. Grandview Medical Center also opened this year. We’re seeing old homes being updated all over town, and new residential buildings are going up left and right. Fresh facilities fill with new businesses, of course! We’ve seen so many new restaurants open, such as Ovenbird in Pepper Place, Rowe’s in Avondale, and Bamboo on 2nd, to name just a small few. The long-awaited Trader Joe’s is open for business at the Summit, Saturn is bringing in some awesome entertainment in Avondale, and several hotels are opening, Including the Grand Bohemian and a Homewood Suites in Five Points. We could go on forever naming all of the awesome new hotspots. We can’t discuss Birmingham progress without mentioning UAB. Students united with the city this year to fight against the decision to close the UAB football program in an effort we came to know as #FreeUAB. We won this fight, and with this victory came a renewed sense of pride for the University. UAB has also been making some changes on campus, most notably the new Student Center and plans for a new football stadium. Birmingham made some pop culture news that deserves some attention, as well. The inaugural SlossFest was a massive success, with 33 bands bringing in thousands of visitors and residents alike to the sold out festival. Birmingham ArtCrawl has been a monthly success this year, and Sidewalk Film Festival had one of its best years so far, gaining a lot of national recognition. Saint Paul & The Broken Bones performed on Letterman, Woodlawn hit movie theaters all over the country, Alabama Shakes appeared on SNL and The Tonight Show, and Legion Field hosted the US Women’s Soccer game against Haiti. Last, but definitely not least, is the overwhelming amount of national and even global recognition Birmingham has received this year. Zagat named Birmingham number 1 on its list of America’s Next Hot Food Cities. Saw’s BBQ was named the Best BBQ in America by Men’s Journal, HotBox was included as one of the 25 Best New Restaurants in America by Gear Patrol, and Chez Fonfon was included in Southern Living’s The South’s Best Restaurants for 2015. Birmingham was the only American city to make Travel Channel’s “The Next 11 Great Destinations” list! If the world hadn’t heard about us yet, they certainly know a thing or two about the Magic City now. This is just the tip of the iceberg. Efforts, milestones, and transformations are happening in this city daily. Brik Realty was born into this spirit of revitalization, and we want to do everything we can to see Birmingham reach and then exceed its potential. You, the people of this city, have made it what it is. Despite the many obstacles that are placed in your way, you are determined to get what you want, all for the greater good and growth of Birmingham. We could not be more proud of this city and its people this year, and we anticipate some incredible things for Birmingham in 2016.